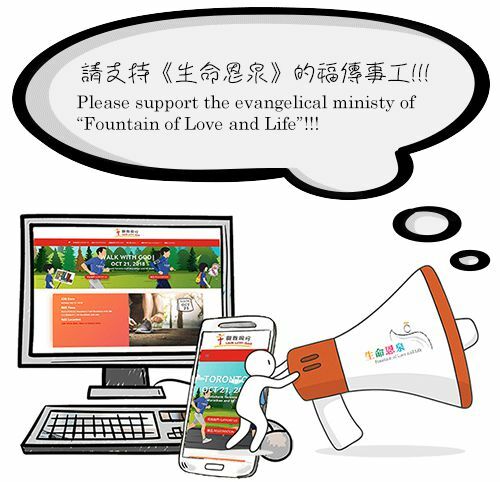 Fountain of Love and Life is a Catholic multimedia evangelization lay apostolate based in Toronto, Canada that instills true Gospel values in people's hearts with the goal of evangelizing the Chinese communities around the world. FLL's evangelization work includes television, radio, social media, website, mobile app, hotline, bookstore, workshops and evangelization events. On October 21, 2018, the FLL Walk with God team will be participating in the Scotiabank Toronto Waterfront Marathon to raise funds for Fountain of Love and Life (FLL).